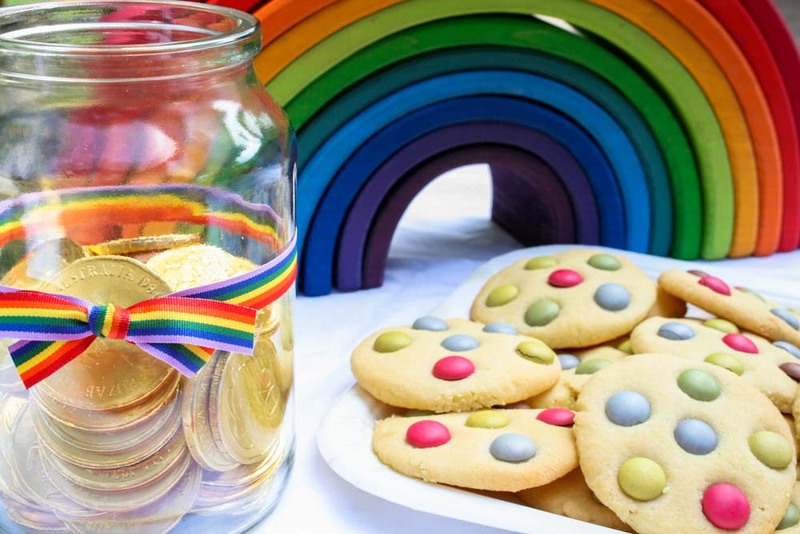 A rainbow party theme is sure to bring colour and joy to any party. 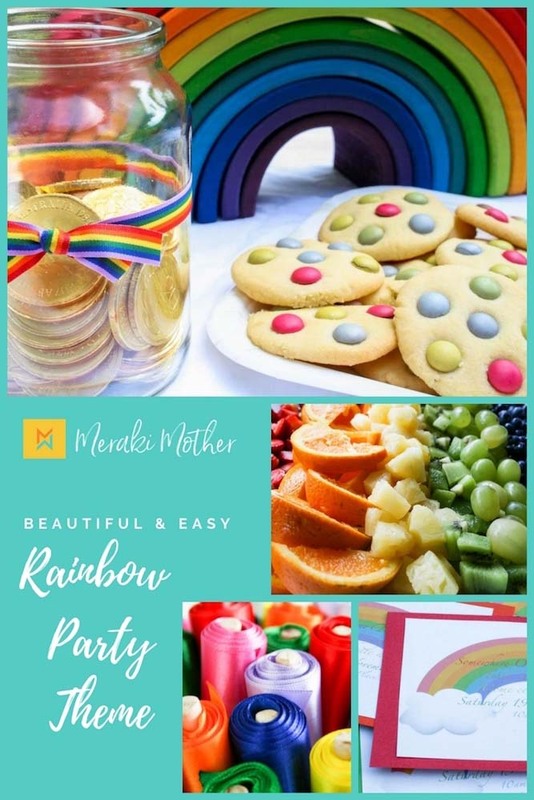 From rainbow theme food, Rainbow party favors and colorful crafts, discover simple but stunning ideas to make your rainbow party a huge success. 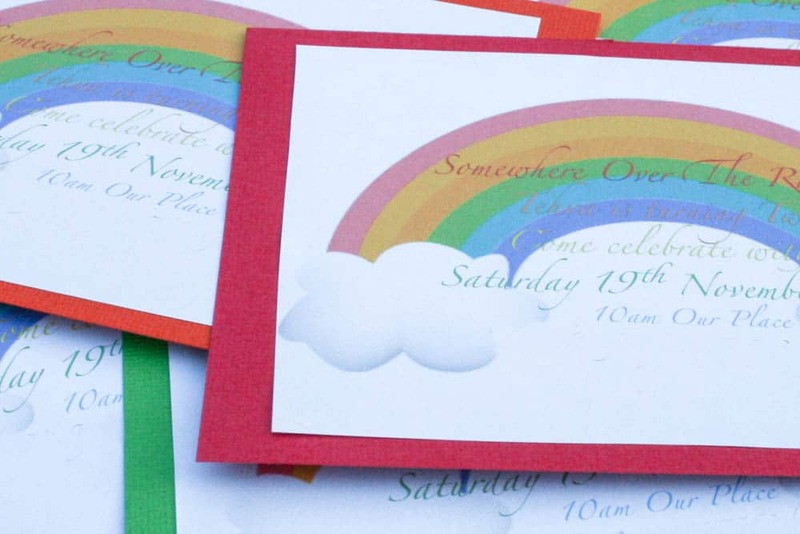 Set the mood from the start for your rainbow theme party by creating rainbow theme invitations. Be sure to use all the colors of the rainbow with bright colored cardboard. If getting crafty isn’t your style check out these gorgeous Rainbow invites. Rainbow theme food makes for such a bright and happy party. 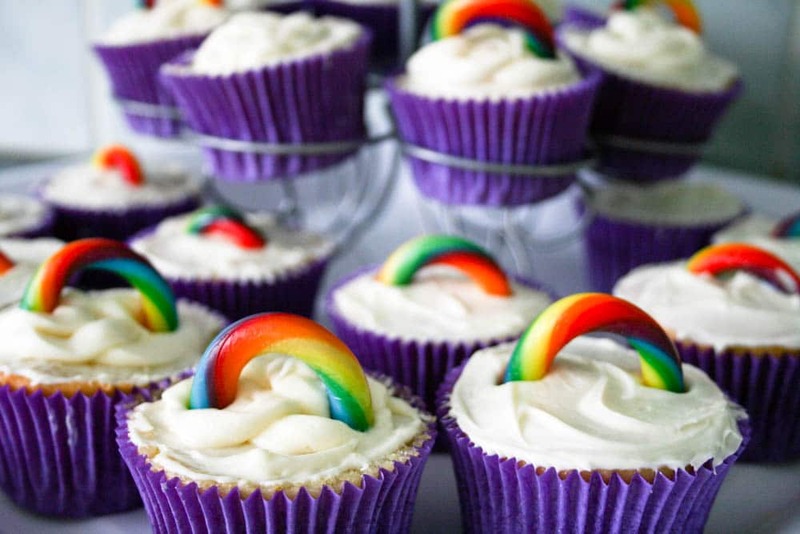 Think vanilla cupcakes, decorated with delicous rainbow candy. 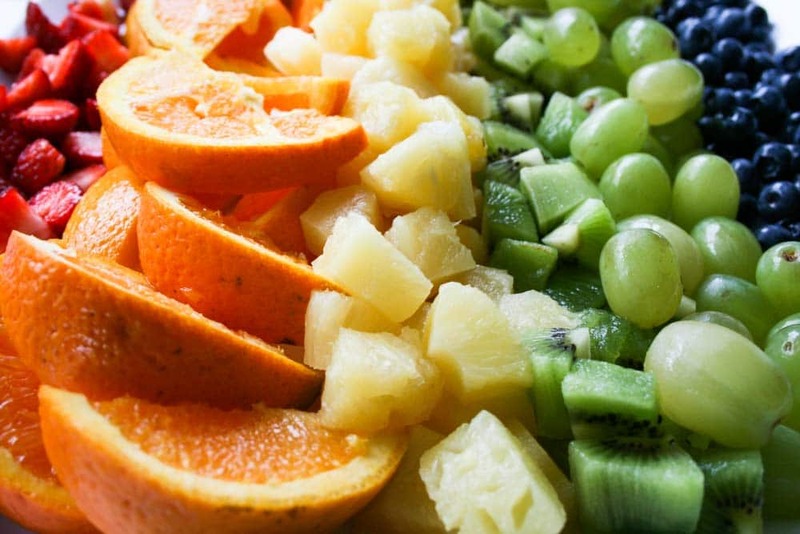 Another great rainbow food idea is to make a rainbow fruit platter. Children and adults alike will love this bright, fresh taste. Pick strawberries for red, oranges for orange, pineapple and banana for yellow, kiwi, grapes and apple for green and berries for violet and indigo. 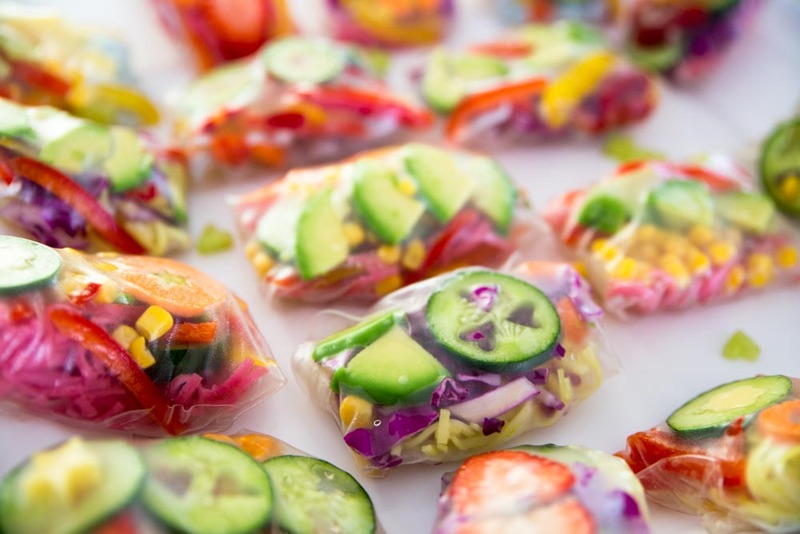 If you are looking for something a little more filling but still healthy and nutritious, try our Rainbow Rice Rolls recipe here. They are perfect for kids and adults party food. No rainbow party would be complete without some gold at the end of the rainbow. We love these chocolate coins. Plain shortbread biscuits can be made a little brighter with rainbow chocolate candy. Looking for more bright and colorful party ideas? Check out our Art Theme Party Post here. For younger children, setting up a rainbow play-doh area is a fun way to keep them entertained. 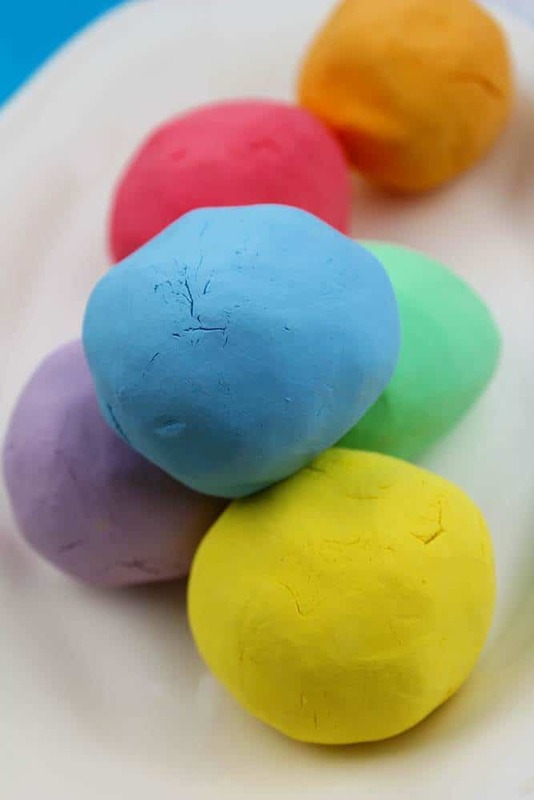 You can even get the children to make their own play dough because our homemade playdough recipe is so easy to make! Creating rainbow necklaces from dyed pasta, getting messy with rainbow paint and a rainbow pinata are all great rainbow theme kids party games that will create lots of fun memories. If you want a fun rainbow party activity, why not try our Rainbow Cotton Ball Craft. 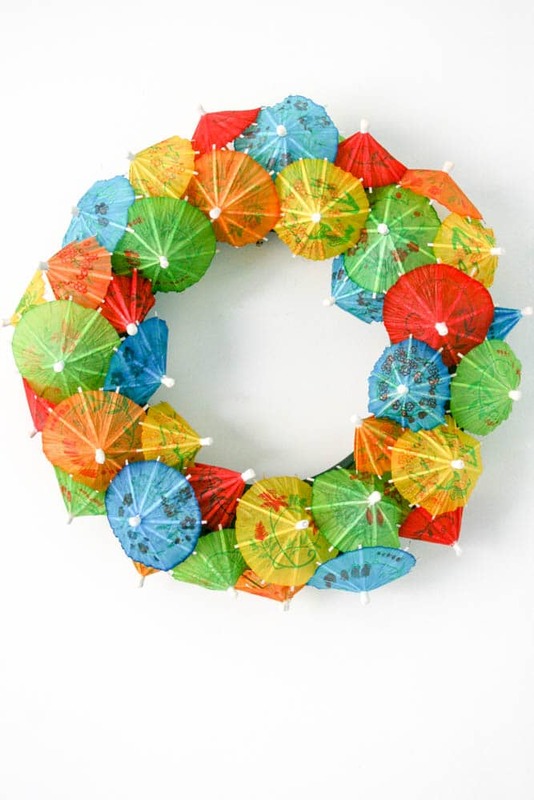 Create a welcoming rainbow wreath with colourful cocktail umbrella’s. 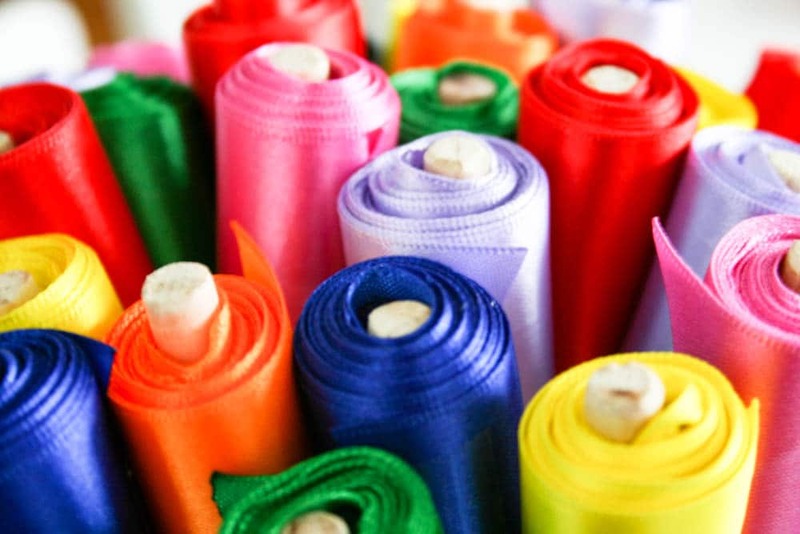 Use all the colours of the rainbow for balloons and streamers. 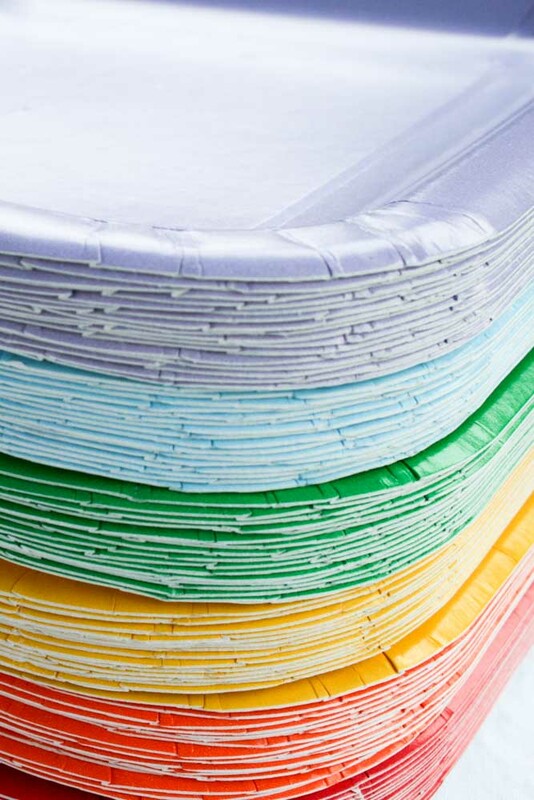 Be sure to use rainbow coloured plates and other partyware to complete your rainbow party decor. There are so many options for gorgeous rainbow party favors. 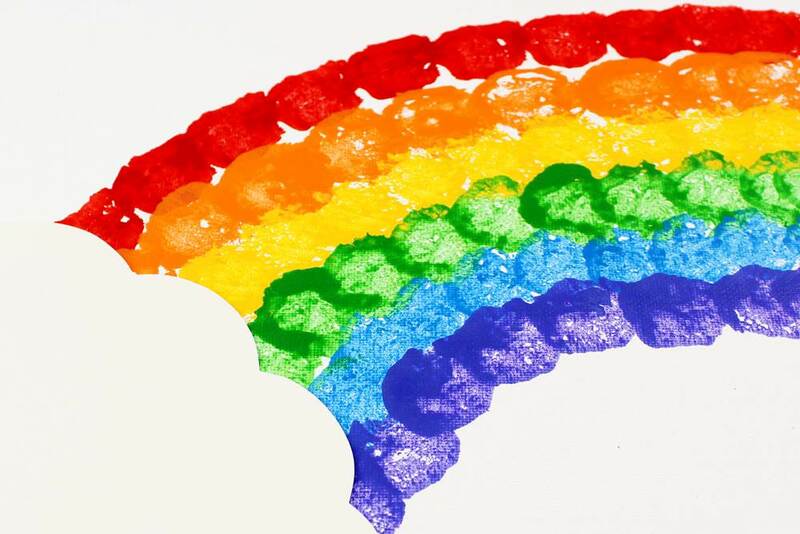 Some of our favourites are rainbow paint sets, rainbow jewelry and fun rainbow toys. If you would like to make something a little special, why not create ribbon twirlers with wide satin ribbon and wooden poles. There are so many ideas for Rainbow Party cakes. Some of our favorites are this rainbow layer cake and this fun pinata rainbow cake. If you would like to create something with a bit of a surprise, the cake pictured here is such an easy cake to bake. Using your favorite vanilla cake recipe, separate the batter once mixed into seven bowls and dye each mixture a color of the rainbow. Next spoon the mixtures into your cake pan, making sure you swirl and add dollops of all the colors. 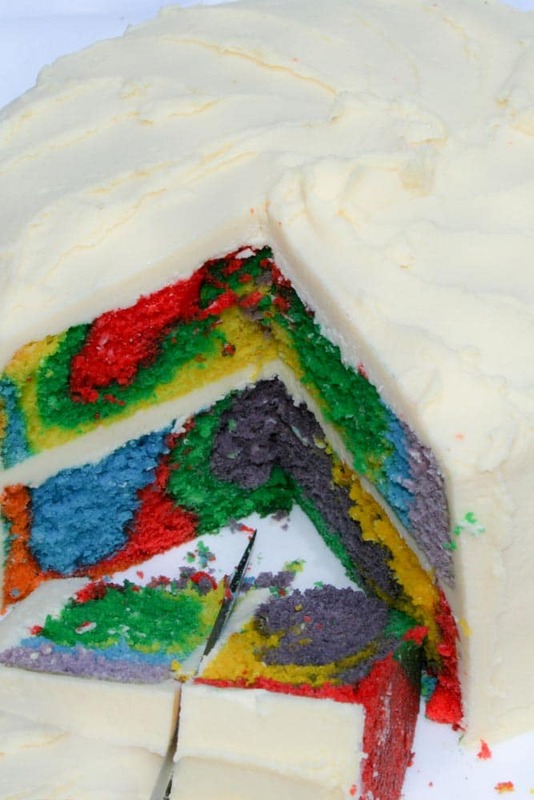 Bake as normal then frost with plain buttercream to create a rainbow surprise when the cake is cut!. We hope you loved all our Rainbow Party ideas. Make sure you Pin for later.